One of the nicest Les Pauls by far I have worked on this year has not been a Gibson, but this 1959 tribute Epiphone Les Paul Standard. 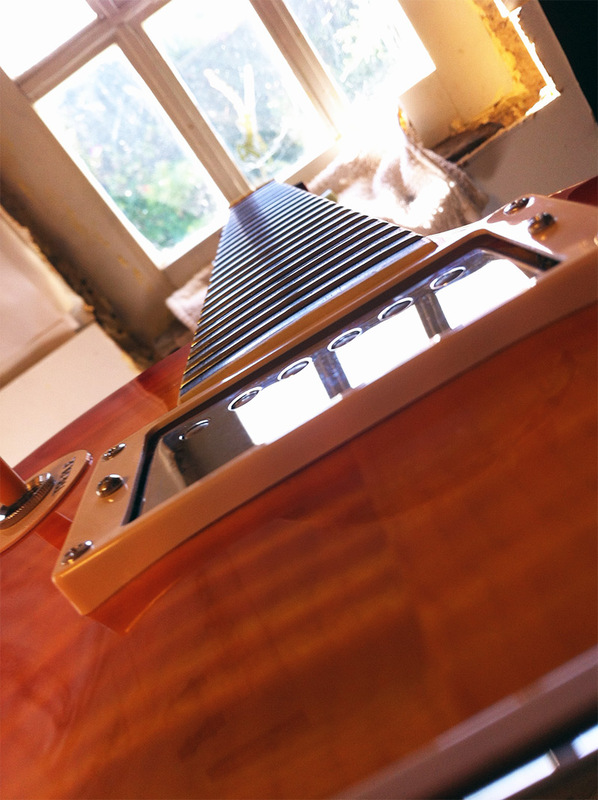 Period correct long tenon neck joint, carved hard maple cap with flame maple veneer, 50s rounded profile with medium jumbo frets, Mallory caps and Gibson Burstbucker pickups. 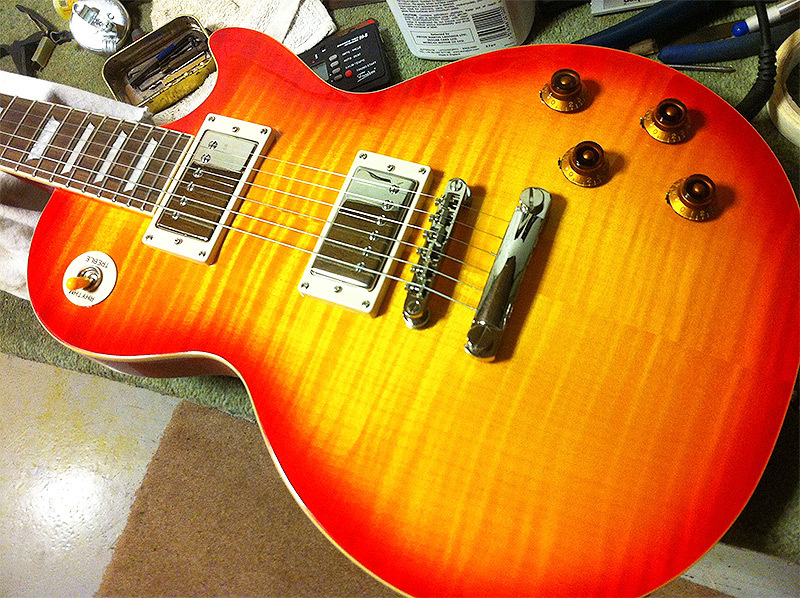 This Les Paul has a longer sustain than any another Les Paul I have played. 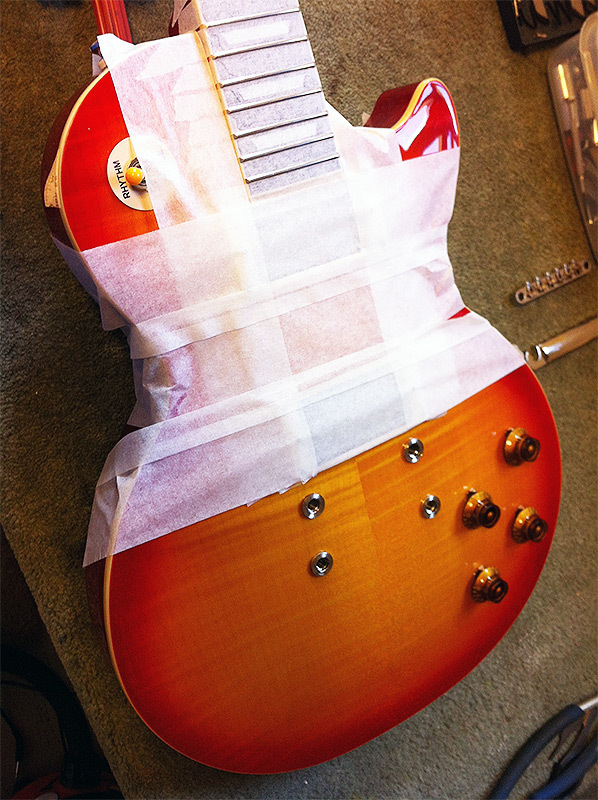 In part due to the wood construction (it is also very light at 7.5lbs) but more likely due to the long tenon neck joint that Gibson no longer used on their Standard Les Paul model. 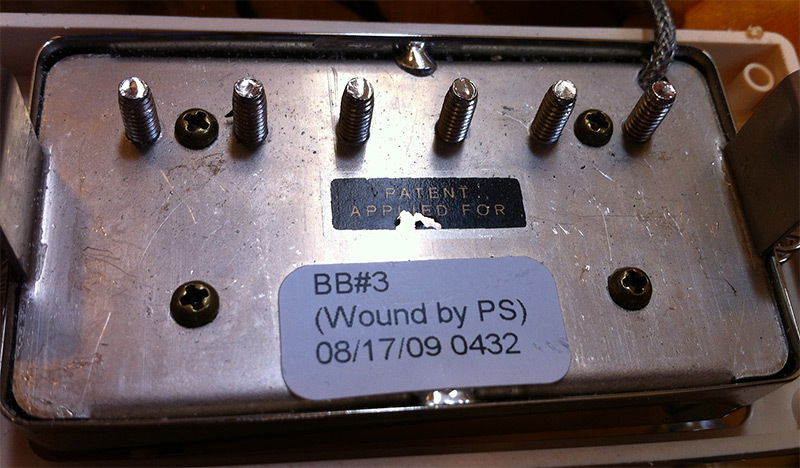 Not content at ripping everyone off with their over priced guitars, Gibson will not provide you with a period correct long tenon unless you pay thousands of dollars for their Custom Shop models! 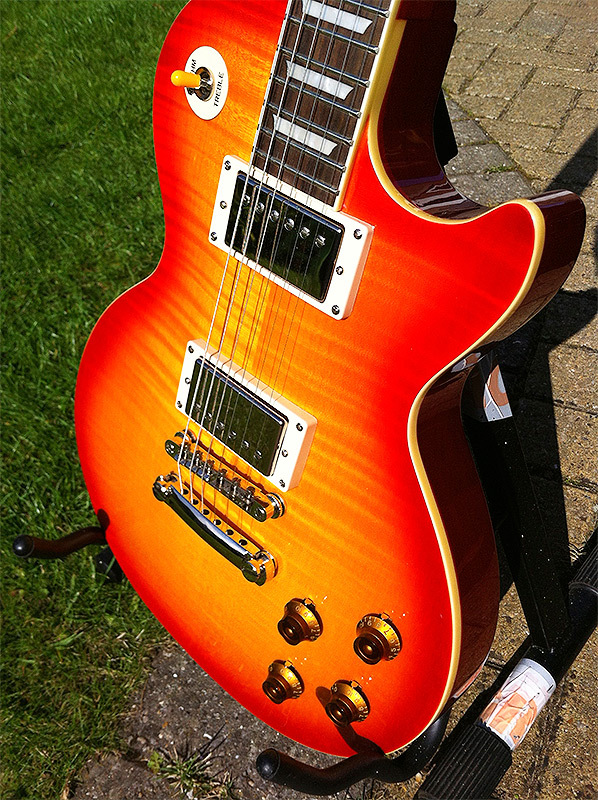 This Epiphone sounds as sweet as the best Les Pauls I have ever heard and will not break your back (at 7.5lbs) or your bank account (this was bought second hand for £350). 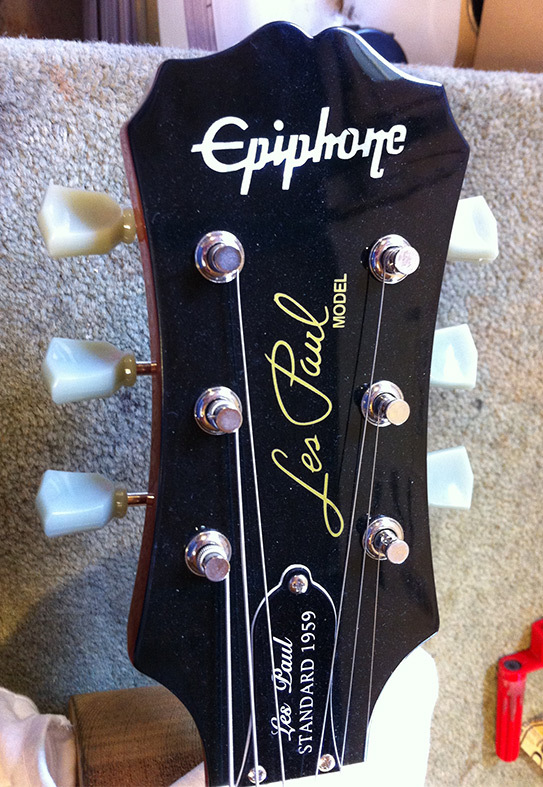 The only thing I don’t like about it is the phallic headstock, the same used on all Epiphone models (aside from their Japanese home production models). 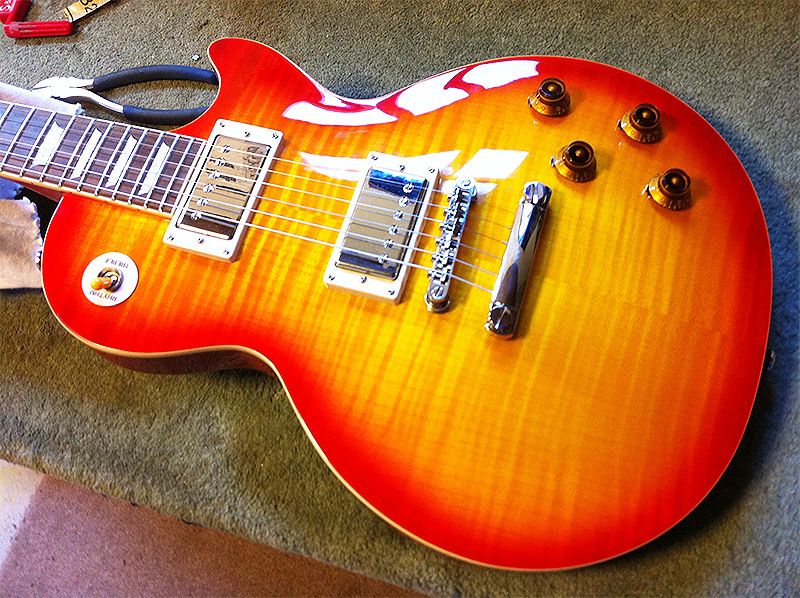 If you are considering buying a Gibson as an investment that isn’t from the golden era (58-61), I would consider the following; There are so many out there now that they are a bad investment. 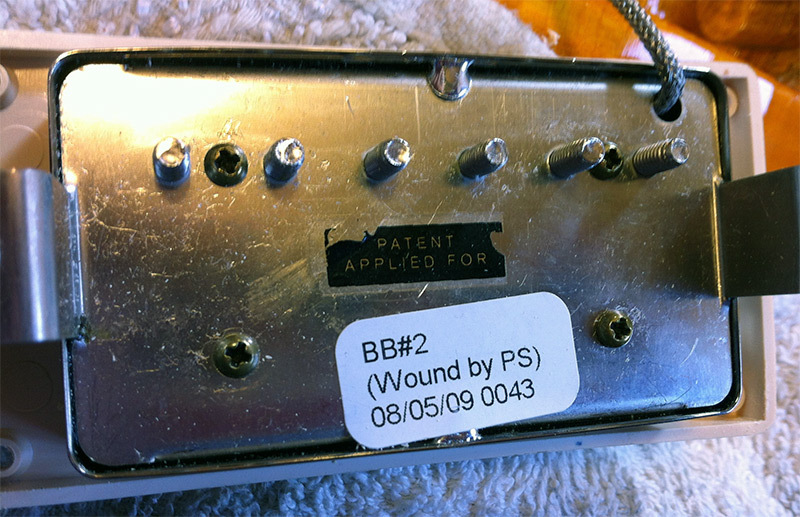 You would be very unlikely to get your money back if you sold it on. 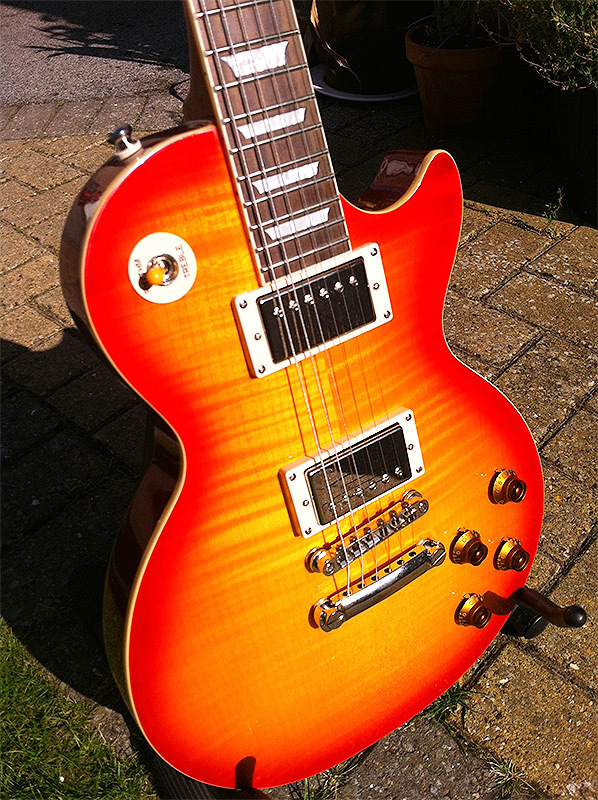 There are better made and cheaper Japanese Les Pauls made in the early 80s by brands such as Tokai, Greco and Burny (checkout http://www.japanguitars.co.uk for more information) which are very good investments, increasing in price all the time. 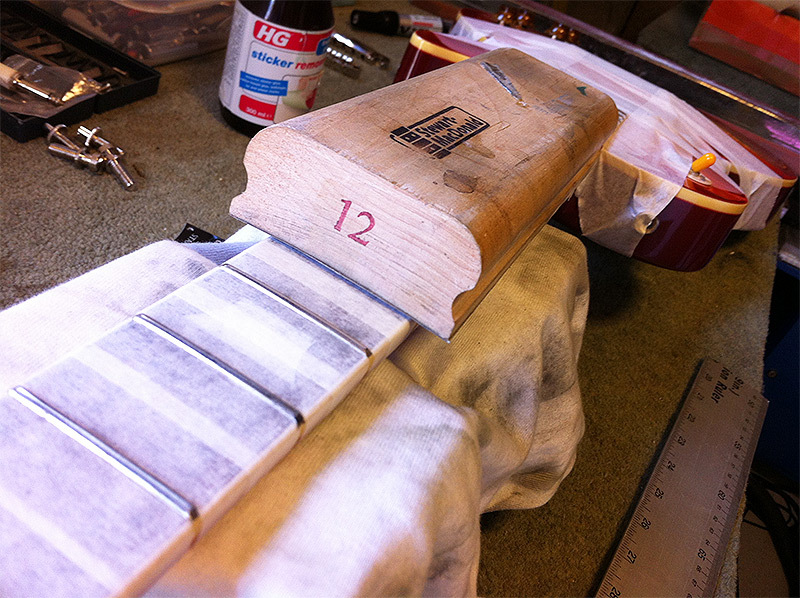 The fabled long tenon neck joint, which gives you that little extra sustain. A strange touch on this model is the partly peeled off PAF stickers. Madness . 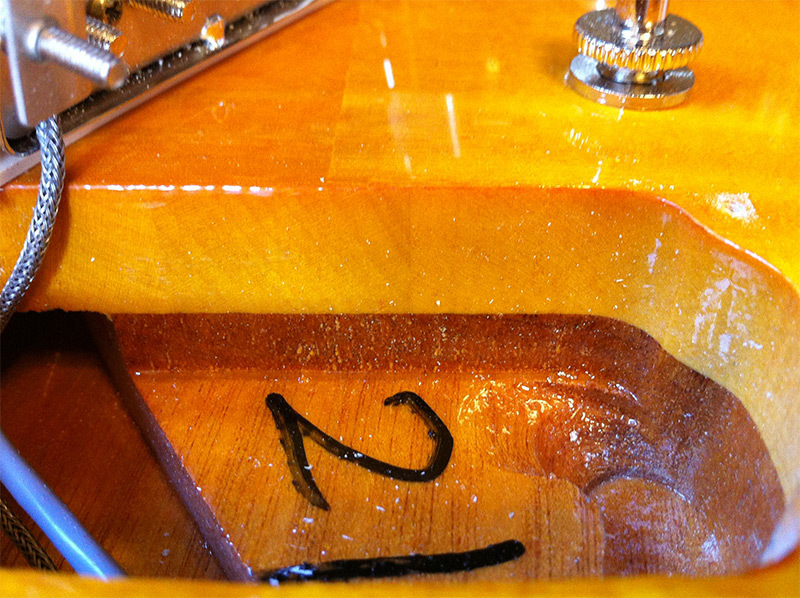 . .
To make this guitar a little more affordable, it has a laminate flame on top of a huge maple slab. 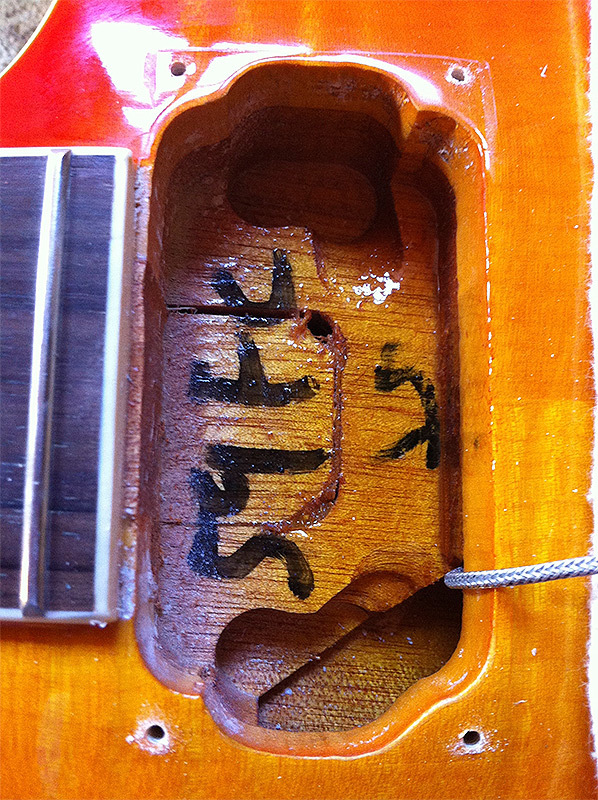 You can see this in the photo below – the seem of the flame does not continue through the maple slab. And again here at the bridge. 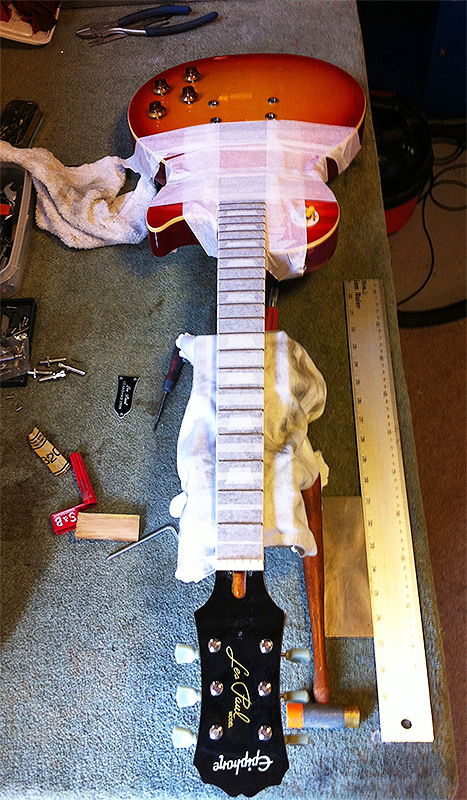 This epi required the usual fret dress and nut cut which had been omitted at the factory. 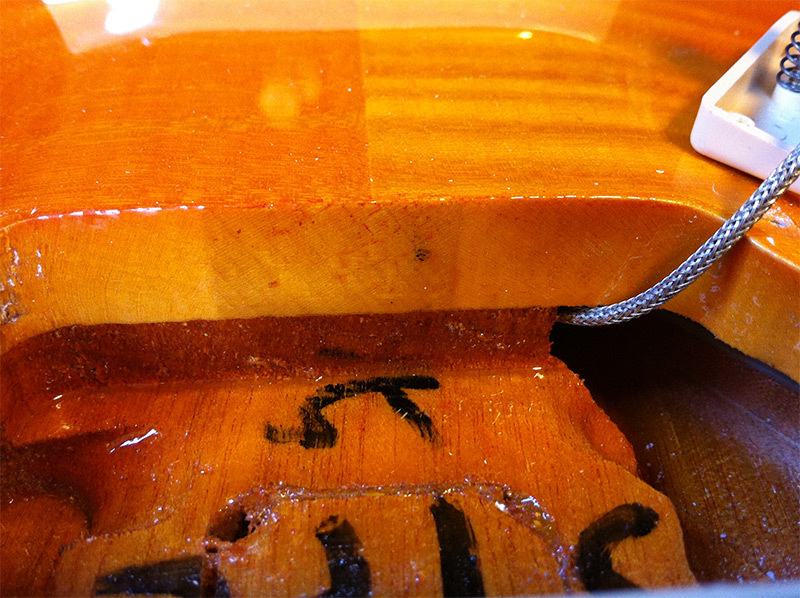 A 12″ radius sanding block.